Please note, the Centre is not available for hire Xmas Eve, Xmas Day, Boxing Day, New Year's Eve, New Year's Day. Access to our catering kitchen, with serving hatch, is included in the hire rate. However if the cooker is to be used it there is a charge of £5 for energy and maintenance, Bouncy castles and other power thirsty equipment attract a £3 surcharge. Price: £15 per hour (hire period includes set-up and tidy-up time). Tanterton Village Centre is a not for profit organisation. We survive only by the hard work, generosity and support of our local community and partners. All fees and financial contributions go directly towards our running costs. 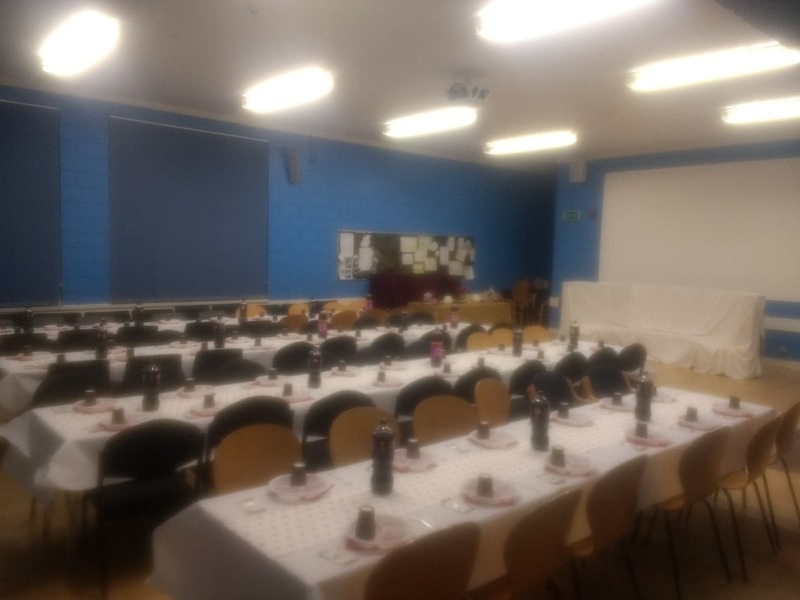 Host your next family celebration here at Tanterton Village Centre. 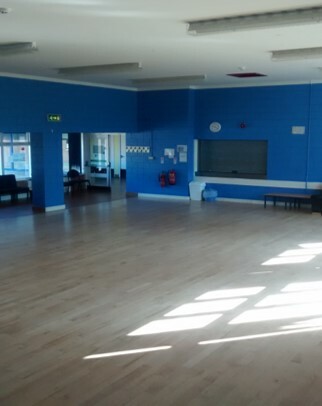 Our newly refurbished centre boasts a large hall with wooden floors and double height windows. We have ample parking, easy access and a warm, clean, safe environment. 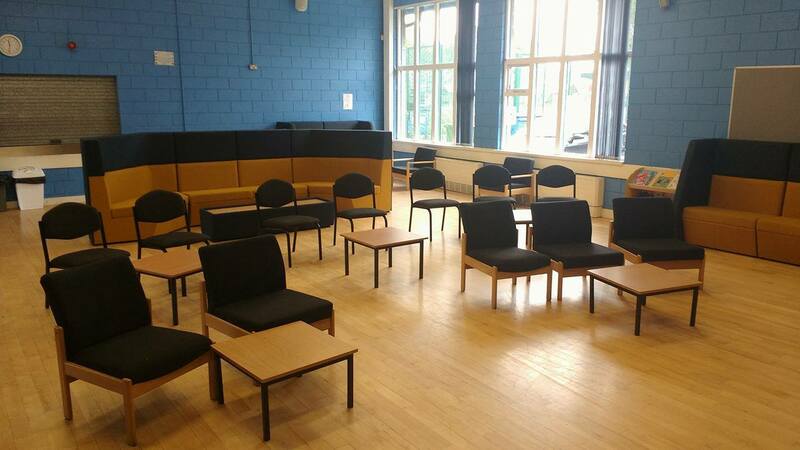 If you are looking for a new meeting place for your class, club or society, we have the perfect venue. We offer support for new groups with subsidised room rates in the early weeks to get you up and running – just ask. 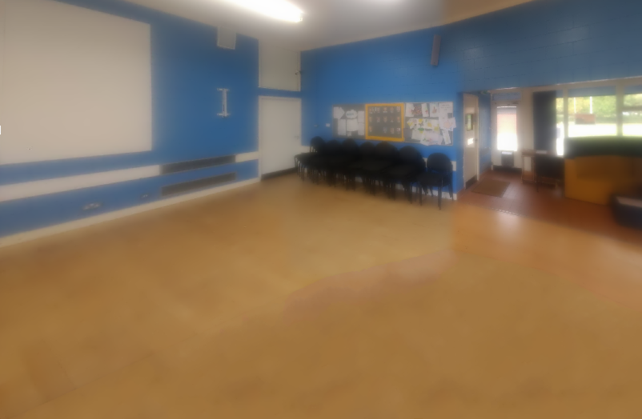 Our large hall is perfect for information fairs, fitness or dance classes, talks or seminars. Our smaller meeting room is a great place to hold training sessions, language classes or meetings. It comes fully equipped with tables, chairs and audio visual equipment. We’re at the top of Kidsgrove, between the shops and Pool House School. Kidsgrove is off Tag Lane, half way between the Nog Tow roundabout and Tanterton Hall Road.